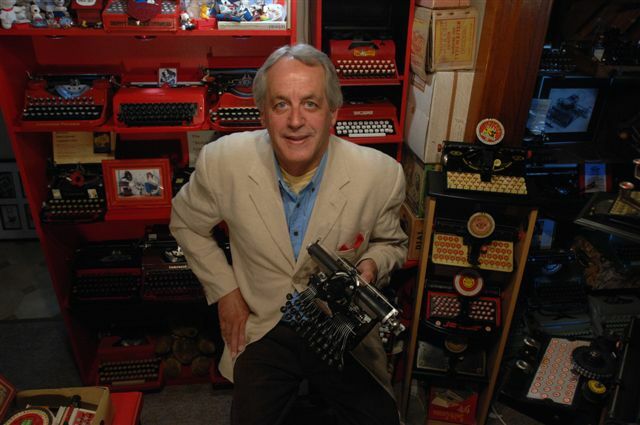 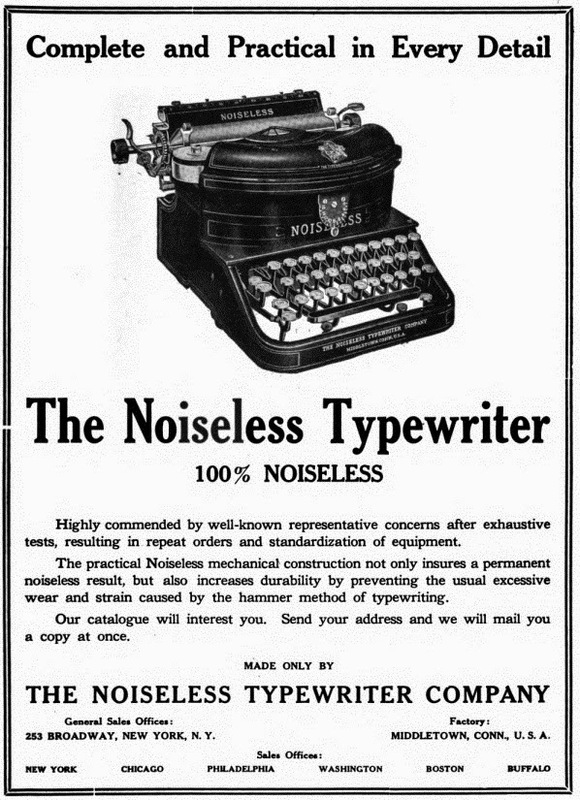 The journey to sales success and financial security began to speed up for the Noiseless Typewriter Company with its third rebirth in 1915. 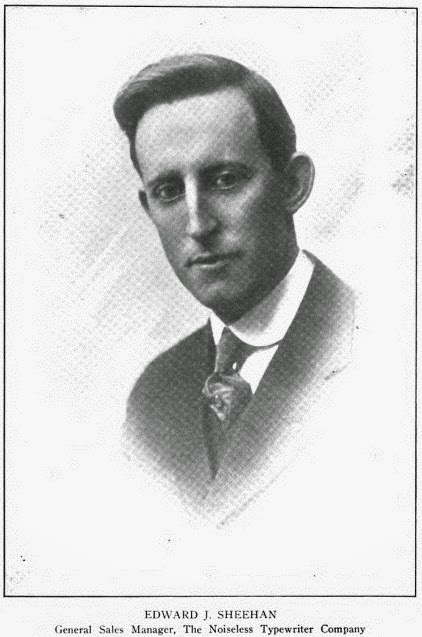 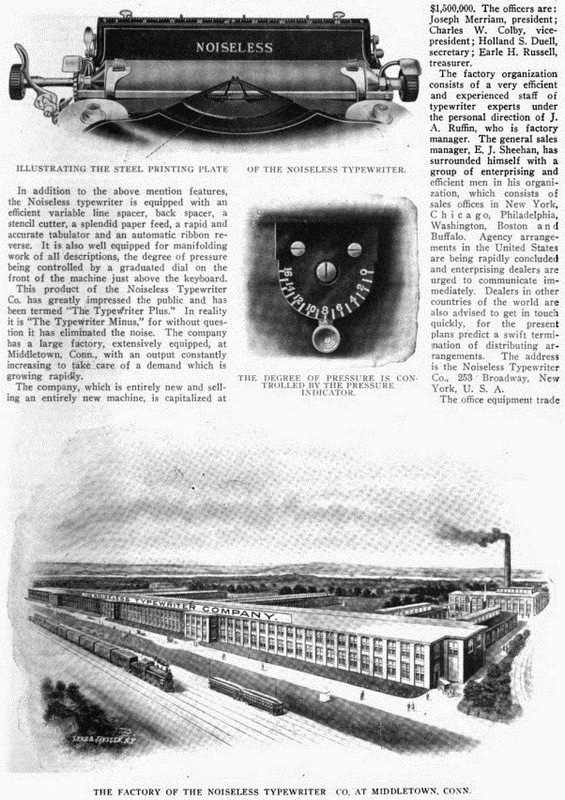 The photo story above, from 1917, reflects a vigorous push into promotion and advertising which greatly boosted the fortunes of the Noiseless. 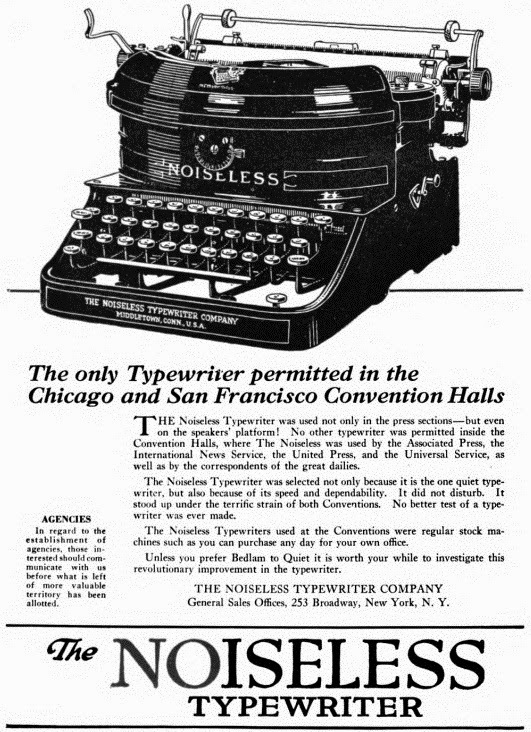 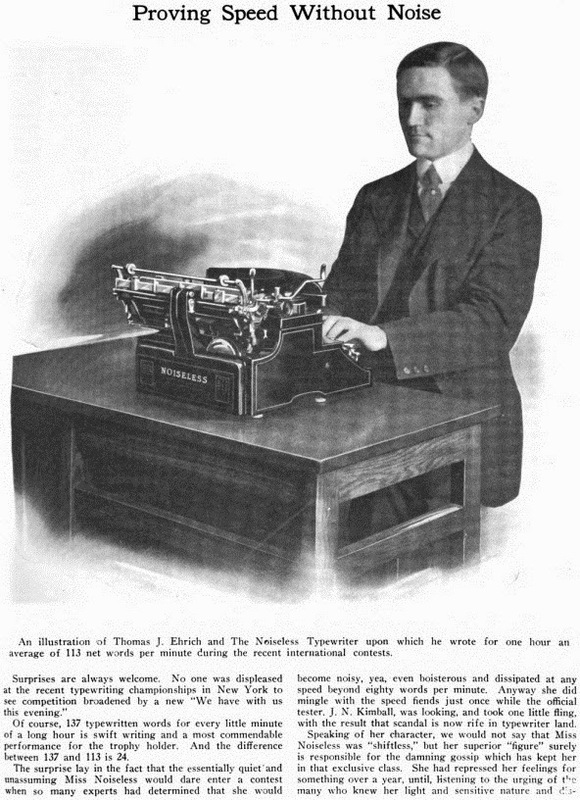 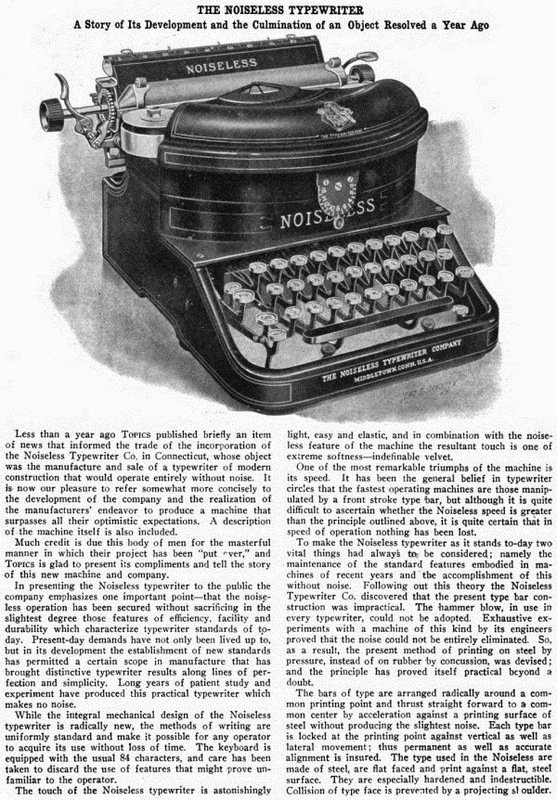 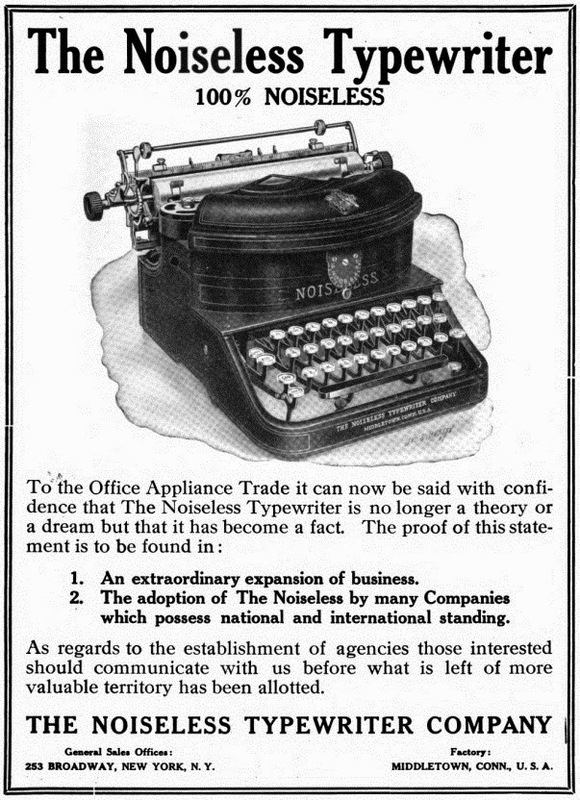 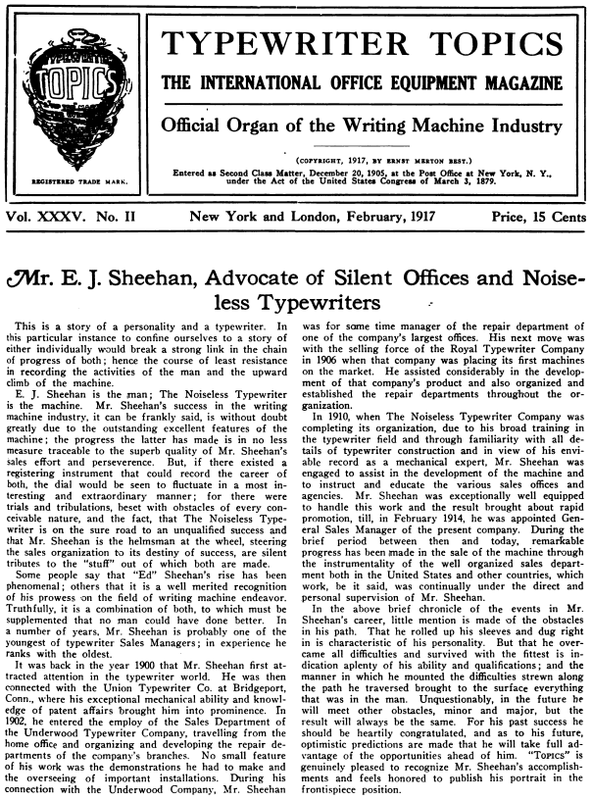 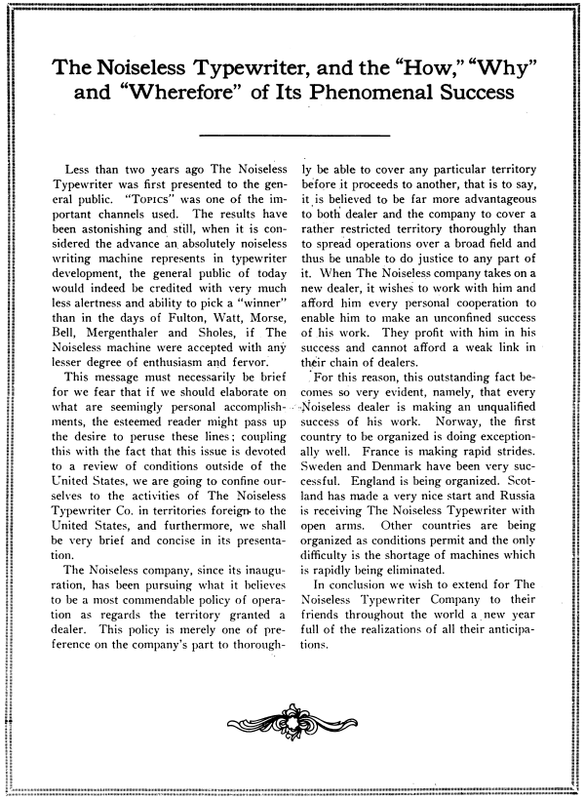 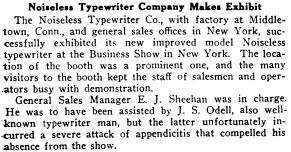 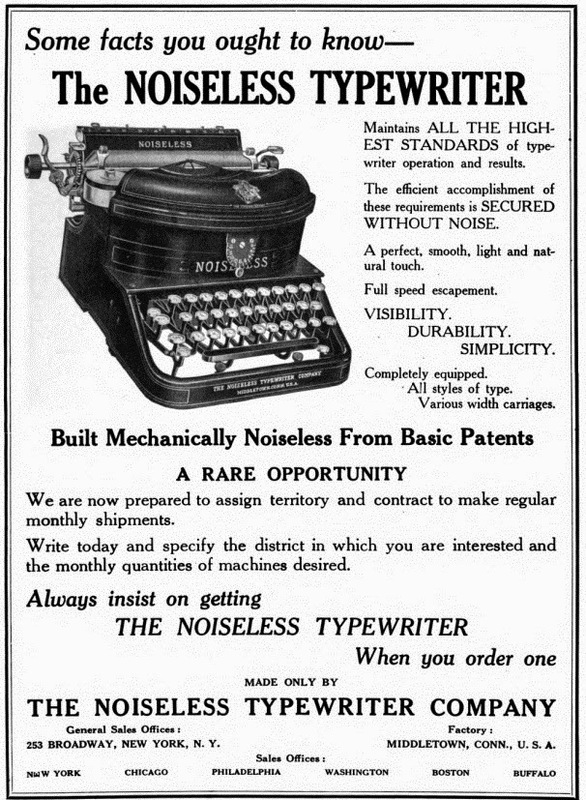 This 1915 Typewriter Topics item signalled the arrival of a "new improved model" of the Noiseless at a Business Show in New York City in the middle of that year.